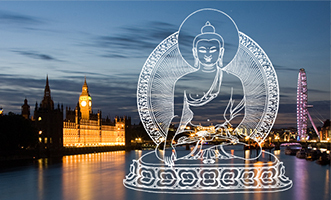 Diamond Way Buddhism in London offers Buddhist meditation classes, talks about Buddhism, and special events. Buddhist meditation has the ultimate goal of realising the nature of mind – what is looking through our eyes and listening through our ears right now. Buddhism is a collection of methods for transforming disturbing emotions into clarity and wisdom. The Beaufoy is a Grade II listed building, now home to the London Diamond Way Buddhist Centre. Buddhism in London has a long and interesting history. Come along on Monday or Thursday to our Buddhist meditation classes (doors open 7pm; start at 7:30 sharp). The interest in Buddhism in London is growing all the time, and our regular Buddhist meditation classes have proven popular with busy Londoners who want to integrate authentic Buddhist methods into their daily lives. For the modern lay person who is juggling work, relationships, and an active role in society, we teach a guided meditation practice that is at once profound and powerful enough for experienced practitioners, and easy to learn for beginners. Buddhist meditation develops our enlightened inner qualities, the same qualities shown so impressively by Buddhas and liberated teachers, which we in fact already possess. Fearlessness, joy, and active compassion are the result of regular practice of Buddhist meditation. Our meditation classes are free; the Buddhist centre is sustained by donations. Directions from public transport, from abroad, as well as a map can be found on our Address & directions page. Or you can visit the Google Maps page for our London Buddhist centre to get personalised directions on foot or by public transport. 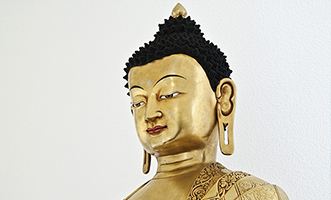 The London Diamond Way Buddhist Centre is part of Diamond Way Buddhism, an organisation of lay Buddhism that has around 20 Buddhist groups in the UK and more than 600 centres worldwide. The focus of Diamond Way centres is to bring the essence of the authentic teachings to lay people who want to practice Buddhism, in a modern presentation free from cultural baggage. Diamond Way belongs to the Karma Kagyu lineage of Tibetan Buddhism, which is over a thousand years old. The Karma Kagyu lineage is headed by Thaye Dorje, His Holiness the 17th Gyalwa Karmapa. The Karmapas were the first reincarnate lamas in history, and have passed on the enlightened transmission of the Karma Kagyu lineage via their trusted students for over 900 years. The line of remarkable teachers stretches back past the 1st Karmapa, through famous Tibetan masters such as Milarepa and Marpa, to fully enlightened Indian yogis, and right back to the historical Buddha. In Buddhism, an unbroken lineage is the guarantee that the teachings have produced the highest results each time they were diligently applied, down to our own times. The Buddhist centre is housed in the grand environs of the Beaufoy. This Grade II listed building in the Lambeth area of London is close to Vauxhall and Kennington Tube stations. 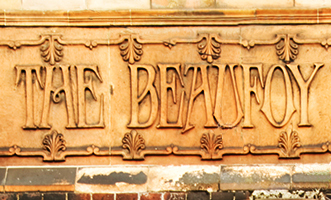 The Beaufoy Institute, founded as a school for the poor, had been empty for over a decade. On purchasing the place, Diamond Way Buddhism was granted planning permission by Lambeth council to renovate it into a Buddhist centre, completing which careful and joyful work will take our volunteers the next several years.